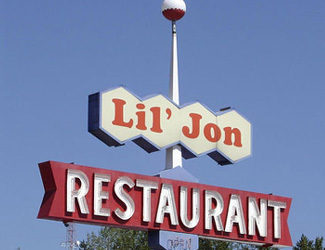 As one of the longest-operating casual dining spots in Bellevue, WA, Lil' Jon's restaurant has been serving great food since 1967. We have been owned and operated by the Sjolander family for three generations. We are open from 5am to 10pm (open at 6 am on the weekends, close at 9 pm on Sundays) which makes us the perfect place for your first cup of coffee or late night dessert. With a full menu of delicious breakfast options to multi course dinner meals we offer something for everyone. Interested in a cocktail? Join us in our attached Sunset lounge where we offer our full restaurant menu along with special bar only appetizers. Our lounge has a welcoming feel where everyone knows each other. Come join us and watch the game on one of our three big screen TVs or win some money playing pull tabs. We even have karaokee on Saturday nights starting at 9pm! Hope to see you soon!